Does Poo-Pourri Really Work? We Tried It! I live with a very comical family and it’s some sort of mission between the boys in my family to make the biggest stink in our bathrooms. 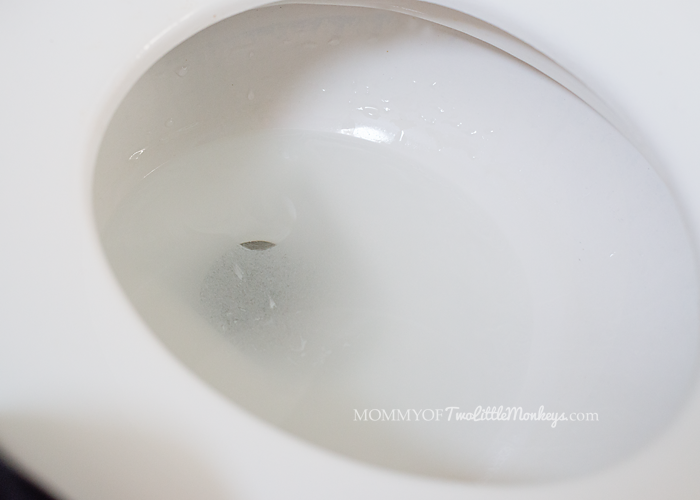 Most children like to find cloud shapes in the sky, my children like to find shapes in their poop. Everyone poops and if you live in a small house, or have a lot of family members, it’s no secret when someone decides to drop a deuce in the bathroom. 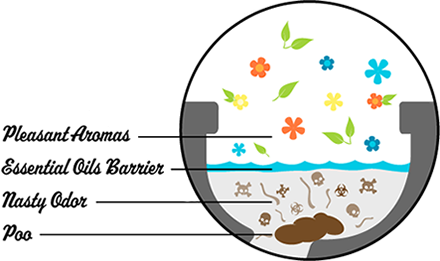 Have you heard about Poo-Pourri? The commercial on YouTube was viral around Facebook and it became a big joke in our family… this was a product that we MUST have! Ironically, Poo-Pourri reached out to me and asked if we would try out some of their popular scents. How could I turn this down? Check out the video that went viral, this will surely make you laugh like it did us! With better review ratings on Amazon than the iPhone 5.. we had to see if it really worked. We received 5 Poo-Pourri scents. The original, No.2 and Hush Flush are the more feminine scents of the bunch. Each scent has a light perfume smell, but not too strong! You don’t want to blow everyone out of the house with a #2 or with the smell of the Poo-Pourri product. As you can see from my picture above, we have been enjoying the original scent most. The other two scents that we received were the Bass Ackwards and Royal Flush. These are more manly, leaving a slight hint of a cologne scent behind. I found them both to be very enjoyable. Everything about the Poo-Pourri product is comical to me. From the name, it’s purpose, the marketing videos right down to the packaging. This would really make for a great stocking stuffer or even a gag gift for a friend. The awesome part is how functional this gift is! Poo-Pourri won’t be pushed aside for shits and grins, pun intended. Poo-Pourri really is a miracle product that can be used by anyone. 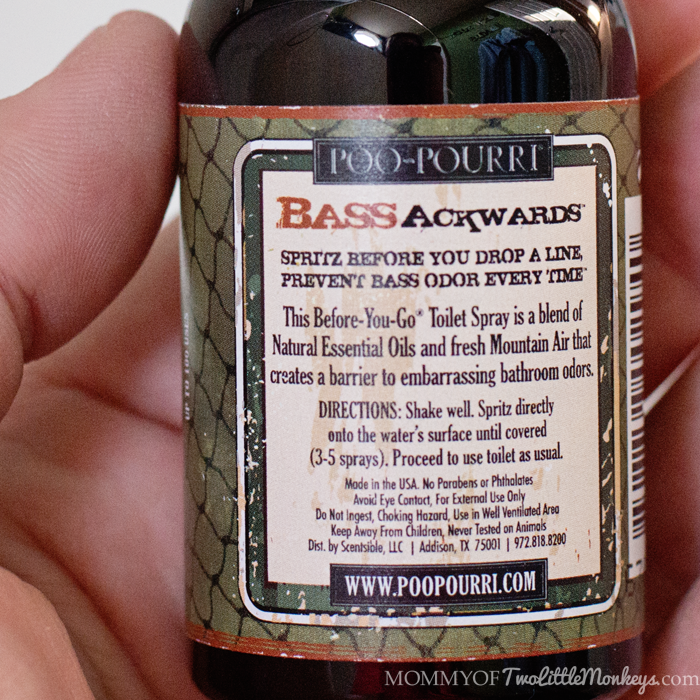 Squirt 3-5 sprays of Poo-Pourri into the toilet before sitting down. You will quickly see a film cover over the top of the water. Poo-Pourri works by trapping the odors underneath this film while doing a #2. After flushing, a pleasant aroma is spread through the bathroom and no one will ever known that you took a poop. The only evidence left behind is the smell of Poo-Pourri! 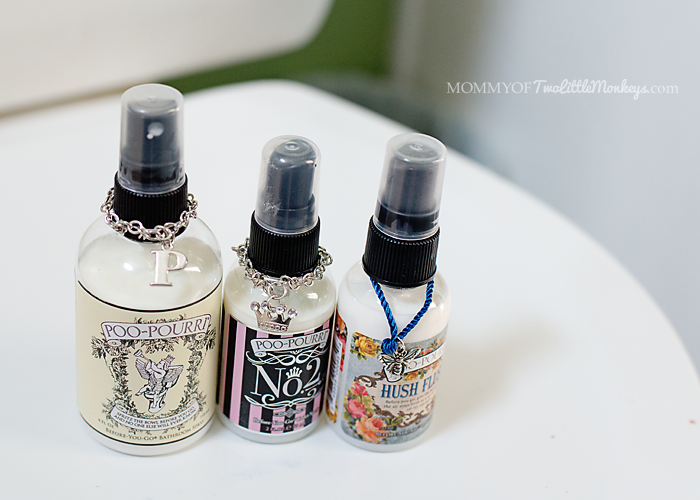 Poo-Pourri is a blend of essential oils, not a chemical cover up like air fresheners! 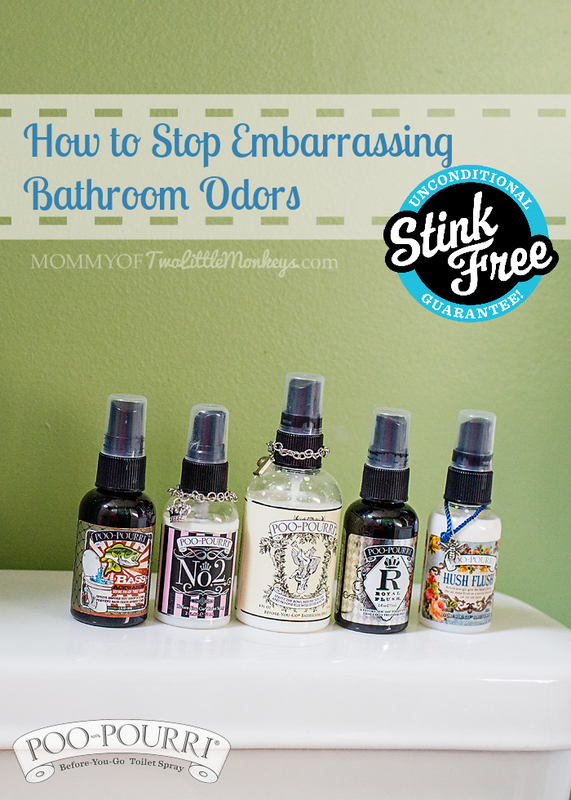 My family has been using Poo-Pourri daily, the product works great and THIS is how we stop embarrassing bathroom odors. The bottles are pocket sized, perfect for a purse or diaper bag and pretty enough to sit nicely on the back of your toilet. Now that we have tried it, we can’t live without it! Check out the Poo-Pourri Amazon Page for more product information!